This tutorial demonstrates how to write an iOS app with the ability to receive push messages. You can use either Objective-C or Swift for this tutorial, as ApiOmat supports both programming languages with SDKs and as code snippets are also included. First, you have to register at the Apple Push Notification Service (APNS) to be able to receive push notifications. Initially, you need to create an App ID in your developer account that has the push notification entitlement enabled. You can do this by creating and configuring the App ID in your Apple Developer Account, but it's easier to let Xcode do it for you. Choose your app target in the Xcode project, go to Capabilities and turn on Push Notifications. Behind the scenes, Xcode creates the App ID in your member center and adds the push notifications entitlement to it. In Development SSL Certificate, click Create Certificate and follow the steps to generate and download the certificate. 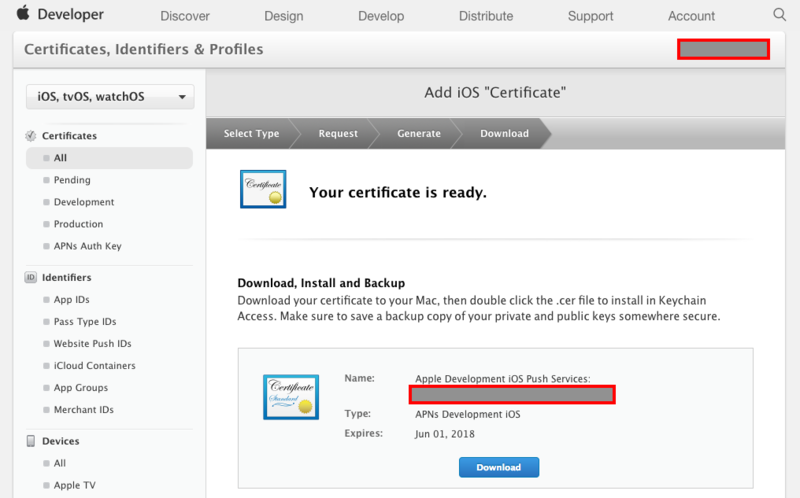 Run (double-click) the downloaded certificate to add it to your Keychain. Right-click on the generated certificate in your Keychain and choose Export. You will be prompted to enter a password. This generates a .p12 file, which you'll use for configuring the backend in the next step. Log into your account. If you don‘t have an account yet, sign up by clicking "Don't have an account yet?”. You're now logged into the dashboard. If you haven‘t created a backend yet, you will be asked to create one. Enter a name and description for your backend. On the first dashboard page, called the module market, you see all the available modules. Add the Push Module to your backend by clicking "+" right next to the module's name. When the dialogue appears, upload the .p12 file that we have created in the last step in the field APNS certificate, enter the password and confirm with 'Save'. 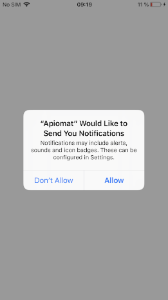 Please note that passwordless certificates are not supported when sending push notifications with ApiOmat. 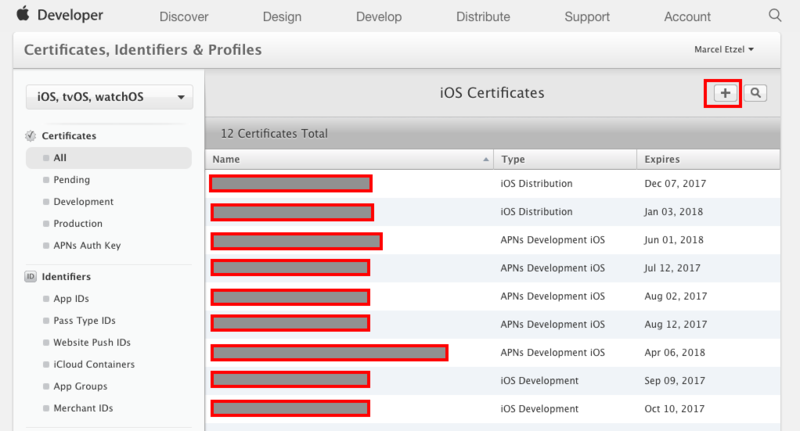 Go to the SDK tab, choose Objective-C or Swift and download the SDK. The downloaded .ZIP archive contains all classes and resources you'll need. Unzip the .ZIP archive and drag the unzipped folder into your Xcode project. Now you're ready to write code. Now in your app's code, you need to register for push notifications to be able to receive them. Call this method in AppDelegates didFinishLaunchingWithOptions method. Now, when you start the app, the following prompt should appear that asks the user for permission. Here, you first check whether the user accepted any notification permissions. If that's the case, you register for notifications. This device token is like a phone number, it contains information that enables APNs to locate the device in which your app is installed. Be aware that you need to run the application on a real device to test this, as the registration won't work in a simulator. Start the app on your iOS device. 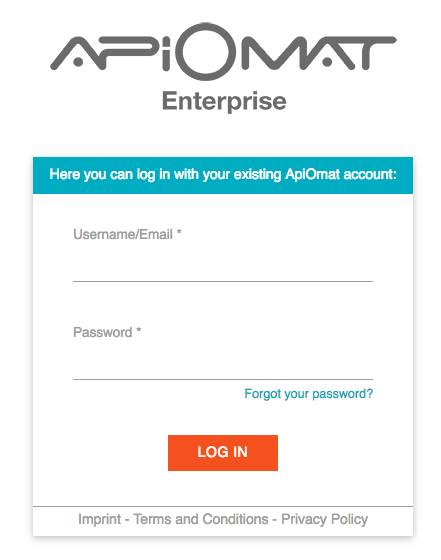 Switch back into the dashboard of ApiOmat. Click the tab My Modules and then the button “Push”. Check your iOS device for the notification.